125 responses to this post. I am a Ugandan looking for a source of stevia plants.I intend to start growing stevia on a 50 by100 feet piace of land. Do you happen to sell stevia for growing or could you point me to a source? Quite commendable work you guys are doing out there. Thank you very much for you kind words, yes we do supply stevia seedlings to farmers and train on cultivation and production. Will get in touch with you via Email..
are there plans to constuct a processing plant for stevia in kenya? Am glad about what you are doing on stevia farming. Am from north Rift and am interested in growing 4 large scale. Is that possible in this region? i am interested in growing stevia in limuru where i come from. how do i do it? and how do i get seed for 2 acres of stvia plant and finally how do i market the product? Thank you for browsing our blog, Kindly check your Email for details. I would like to grow Stevia on my farm in Murang’a. How can I get seed for 1 acre? hello. i need to know mor about stevia . farming.managment. et in the north of iran in tropical area. thankyou. iam augandan who wanted to practice stevia iread every thing corcerning stevia,piching,sticking but wat i deserve is to see every thing practicaly what can ido. Hey, thanks alot for your substitute research, i can spare 1/4 acre for stevia and am currently installing drip irrigation for other crops and would like to consider it,is it viable?,where can i get seedlings? and most important is marketing of the crop. am located aproximately 40 km east of Nairobi, which is your nearest office i can contact?. Am interested in cultivating stevia inn 3 acres of land in Siaya district in Kenya. How do I go about this and also provide information on where to sell the produce. What are the economic benefits of stevia. I am interested in growing stevia in Kiambu about 20 minutes away from Nairobi. Please give me a local contact. Hi!.. my father owns about 20 acres of land in keringet(Nakuru county, molo district) he usually use the land for potatoes and maize, but he told me about stevia, and i kind of like the idea. He is not very well enlighten about the the plant though he will really like to try. If you know any where he can get help with in the county (nakuru) am sure he will very much appreciate it. I am interested in growing stevia in greenhouse,want more information on where to get seedlings and more info.on how it’s grown and its market in Kenya. I have a couple of acres in Ngata, Nakuru and this sounds interesting. I would like to know more in regards to what investment the plant requires to grow well, where I would sell my produce and what kind of returns would it give. Im a resident of south rift(kericho) and i would like to appreciate what your company is doing to small scale farmers in this region.Soon many residence will have a better alternative to strengthen their vision 2030 realisation..
Looks a very promosing alternative to “bad” sugar. I make squash and would love to use it as a choice ingredient, where can i get processed stevia and also seedlings and more information on it. Thanks very much for the good work. I am in uganda and i heard about stevia on a local TV program. in an atempt to learn more i came across your work and actaully developed alot of intrest and i wanted to try it out. can be abe to get seed from your organisation? Thank you for being an African pioneer on this healthy alternative. Please send me the details on how I can buy the seedlings, and how my younger brother who lives in Ethiopia can get the training to farm it inside Ethiopia. As you may know there are millions of people with type 2 diabetes in Ethiopia, and now with sugar prices becoming beyond peoples means, it is a good time to introduce the product. Please send me the details. I need about 1000 seedlings to start up some work in the mount Kenya region. Are these readily available and at what cost? We take pleasure in introducing ourselves as pioneers in Stevia (the only anti diabetic sweetener) in India. As you would be aware that Stevia is now poised to become single largest zero calorie sweeter in the world. Dear sir, we have nursery of Stevia plant on commercialize basis in Uttar Pradesh & Madhya Pradesh & ready for supplying the plant. We have capacity of 1.2 cr. plant right now. Sir the rate of Stevia plant is Rs.1.50 & it would be up & down as per order quantity. Sir, we are looking a company for supplying the plant so that we would able to make a strong channel partner. If you have any kind of query or order for sale of Stevia then please let me inform me I will make arrangement of plant at your lead time. Any kind attention on this offer is highly respected. We hope a positive response on our offer looking forward for long term association with you. Hi my name is George Otieno from Kenya am interested in cultivating stevia.repply through lifestylelogistics@gmail.com I would be much interested to establish a strong relationship with the company.Where is the markets for this stevia? I’m a farmer in Olenguruone, Kenya. Where do I get the STEVIA seedlings to plant. Kindly reply. Hi i am a Ugandan and recently saw a program on Uganda Broadcasting Corporation TV on stevia . Am interested in growing it. Where can I get information and plants/seedlings. I would like to start growing Stevia commercially and Organically for export. I would like to pay a study visit to your farm so that i can find the information. Please send me an invitation for two and let me know what it will take for e to do this. Am interested in plant stevia in Uganda how do I get the seeds? Please let me in on information about stevia am in fort tenan not far from kericho and I need to start growing it please give me some info on acrerage plants costs, profits and duration. hello,am based in nakuru and am interested to learn more on cultivation of stervia.I need to know how i can get get seeds and if possible technical advise. hello,am based in nakuru and am interested to learn more on cultivation of stervia.I need to know how i can get seeds and if possible technical advise on growing. PLEASE LET ME KNOW HOW AND WHERE I CAN GET THE SEEDLINGS AND THE PRICE. Hi, I am from Eldoret and wish to plant Stevia commercially. What markets exists currently and where do we get seedlings/seeds? Hi, I am based in Keringet area and I would like to know more about stevia farming. what is the current market price for one kilogram of harvested and dried stevia? Hi, I would like to get stevia seedlings for planting. Can you kindly give me info on where to get them? I am based in Kiserian, kenya. Hi, i am interested in growing this plant. whom do i contact in central kenya? i attended Kenya Agricultural show 2011 and had achance to know about stevia and its very interesting.where can i buy the seedlngs for domestic use only. i am interested in planting stevia in North Rifth in large scale (1Ha.) to start with, how can i get more details e.g. cuttings/seedlings. I have just read about stevia plant and developed much interest in growing it. What are the conditions for its growth? How can one get seedlings and what help can you to farmers to start off? Thank you in advance. William, Nairobi. If I can get the reply through e.mail the better. please send me ur pricing.thank u.
good job you are doing.iwant more information obout stevia.can it grow in kikuyu? my God help me. I wonna grow stevia in Kikuyu Ondiri where I have a four acre land with a borehole and a drip system. where can I get seeds and support? Regards. hi there am intrested in growing stevia on my one acre land in kikuyu.is the area suitable? how do i get baby stevias. at how muchn and then how do i market?please inform.thanks. Hi! I got to know about the Stevia plant through my dad. He is a retired cooperative officer and wants more information on the plant. He is particularly interested on how to cultivate it in the Meru region of Kenya and how to commercialize its cultivation. I’m interested, i’ve a half acre piece of land in mtwapa area of Mombasa. I wonder if this climate and soil is good. And how do I market the produce? Hi i am interested in growing in kenya we are at 2000m on equator black cotton soil ph about 7.2 would in grow? Please inform how long it takes for the plant to mature and whether it can be grown in dry areas like Juja and Narumoru. What is the price of the ones on sale at Kerinyaga? Hi my name is stephen from karura, kiambu. I would like to know if the weather here is good for stevia and if so how do i get the seedlings. Also is there a ready market for stevia. Hi, i am interested in stevia cultivation, how can i get the seeds for an acre. I come from meru where we usually grow tea and after cultivation how do i market the product. this is a great sweetener especially for the health conscious. Where can I get the seedlings, seeds, cultivars. Any help? I am interested in growing stevia on 1/2 acre plot in Magadi North constituency. Please do enlighten me on how I can be trained on cultivation and production of stevia and also would appreciate if you can link me up to it’s market. I would also want to know how I can get financial and any other technical assistance. How does the plant do in Dry areas like Isiolo or Tharaka? I am a resident of Siaya (Kenya) and interested in planting STEVIA. Please advise me on where to get the seeds/seedlings. Are climatic conditions here suitable for the crop? HI! I am interested in planting stevia in my 2 acre land in nandi hills,where do i get seedlings,training and who would my target market be.Are there processing plants in kenya?How much will it cost me,how much returns? im donald chirchir a 4 year student at kabianga unisity college, i would like to carry a reseach proposal on stevia so to know more about the crop help farmers in my village. many farmers in my village have ventured into stivia cultivation. i wish to request on how to go about this proposal. I have four acres in Githunguri and would like to venture into stevia farming. What advice/ help is out there? hi, my name is timothy jirongo. i want to start growing stevia and need to know wherev i can get more info which includes getting seedlings and market for the crop. kindly assist by emailing me, timchikai@gmail.com . I am interested in growing stevia in Ngong where i come from. how do i do it? and how do i get seed for 5 acres of stevia plant and finally how do i market the product? Thank you for the insightful information. Where can i get the seeds for planting, am at Nairobi. Thank you for the insightful information. Where can i get the seeds for planting, am at Nairobi? Hi I am a farmer in Ngong and would like to find out about Stevia farming in terms of where to get the seedlings and how to cultivate and any other information that is necessary. Please enlighten and educate me more on the Stevia plant. I have 10 acres of land in Nyahururu/Laikipia zones and I am really interested in starting this project with possible future plans of processing the product for both local and international markets. Kindly send me a brochure or whichever literature you have on the same. I shall highly appreciate your prompt response and assistance. Hi I would like to grow stevia in oljororok in Nyandarua on our farm.please let me know if you could advise me on how to go about it. How do I get the seed? I am interested in planting stevia in Kajiado county, where do I get seedlings and at what cost? Good work you are doing,I wish to plant on 1/4 acre in Kikuyu and Molo,kindly advice on how i can get the seedlings. It would be great to have a reply to the questions been posted by all this interested farmers. Myself being one of them have realized that all the information concerning Stevia farming in Kenya is well over a year old. Is necofa still involved in this project if so answers would be deeply appreciated. Thank you Njoki for your comment, on a point of information we deal with each commentator through their email address, answering their specific questions, since comments are all diverse. So, if you have any questions related to any post we shall respond through your Email, thank you! Hi,am interested in growing stevia.how can i get cuttings and what are the returns per acre? Do you buy harvested plants? I just learnt about Stevia and would like to have some seedlings/cuttings for personal use & as a deterrrent for pests on my organic farm. Kindly let me know how I can get some and the cost. I am located approximately 30 km from Nairobi. i would like to know if Stevia farming is still a crop on demand. I have a 4 acre tract and a 26 acre tract of land in Embu that has unlimited access to water via two rivers. I would like to know if Stevia is the way to go. Temperatures in this area range from 25 – 32 decrees celsius. Is there a market for this crop, would i be able to connect with the end buyer. What is the purchase price. My past experience with horticultural crops has often been frustrating where the end buyer is concern. Very Informative! Im quite interested in growing the stevia plant in Lari/Kiambu. I would like some clarification on the market price per kilo since i have read about farmers in south rift contracted by a multinational being paid ksh 100/= and elsewhere a farmer is getting up to 2500/= per kilo. Are both figures factual and if so why the discrepancy? Hello, we are looking for a source of stevia seedlings for Madagascar. We need about 50.000 seedlings for a field of 100 by 100 meters. Do you possible sell seedlings or do you have a source for us? Very good job you guys do here. I come from kericho (kapsoit) where can I get seedlings and information on how to grow this misterious plant. good work you are doing. Hello, thanks for the good work but I have gone through the many comments and a majority of people needs to know where to buy the seedings and secondly and most important of all where to sell. Do you have a ready market for the product??? Hello Wambui, for people with questions on stevia we answer them directly through their Emails. Thank you. Where can i get information regarding both Local and international markets available for us us farmers will in to start this as a business? Nice and informative post about Stevia. Am a small scale farmer in Migori Town, Migori County who is interested in doing new crops for commercial purposes. Kindly email me the requirements of this crop ie climate, type of soil, agronomy, management, market etc. Thank you Robert, we shall get in touch via your Email. Hello Sara, hope the seedlings are doing well…..
Reside in Uganda and interested in buying seedlings. Thank you for visiting our blog, for stevia seedlings and manual sms or call 0715639223…..
a good idea of uplifting living standards of kenyans. where can i get stevia seeds. please reply . Hi, Thanks for the good work you are doing. I am aresident of Bomet county, Sotik constituency and would like to know more about this plant. Where and how much do you sell seedlings which can cover 1/2 acre farm? Congratulations for the good work you’re doing. I’ve a 3 acre piece of land in Molo & i’ve an interest in practising stevia farming. I’d like to know for how long you’ve been practising stevia farming in Molo & how successful it has been. A friend of mine told me about this crop stevia and checked it on the net and i was interested. So please feed me with more information about the same. I would like to try it out. hi please i would like more information. hallow am planning to plant 10 acres of stivea in narok. will u buy and at how much pa kg. 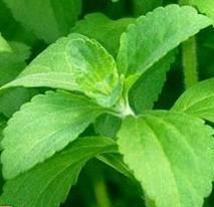 Thank you Simiyu for your interest in stevia farming, will reply through your Email address. Hi. I would like to have additional information on stevia farming and would appreciate a response from you.